Rosa requests (though not a must) we take pictures or video ourselves when tossing the dough but I found it rather difficult to do with my remote. It turned out to be a blur :,( My tossing didn’t turn out a success either. I think it is because my dough was too small! I will give this another try some other time and shall report back. If you want to see more exciting topping variations click here. Enjoy! THE CHALLENGE: You have to use the tossing method (as explained below) for at least 2 Pizza Crusts. If you are not comfortable with it, then you can switch to the rolling method, but you HAVE to try the traditional method and exercise it, using at least two dough pieces. You should also capture the moment by either filming or photographing yourself while tossing the dough. THE RULES: This month’s recipe leaves you with much freedom! 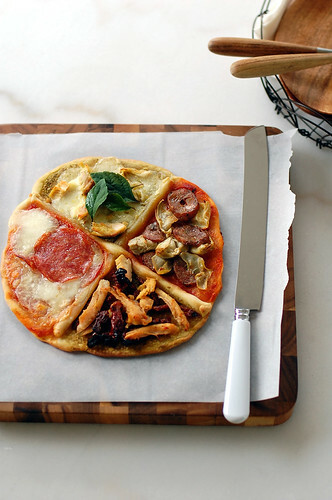 You can either make the Pizza Dough gluten-free or the normal way. You may use the sauce (anything liquidy, saucy and spreadable like cream cheese, flavored oils, pesto, Nutella, Peanut Butter, pumpkin puree, etc...) and toppings of your choice, may they be savory or sweet, gluten-free, vegan, vegetarian or non-vegan/vegetarian. You must use BOTH (sauce & toppings). - This will take 2 days to make. - Bake only one pizza at a time. - You can also resort to using a rolling pin, although it isn’t as effective as the toss method. - In case you would be having trouble tossing the dough or if the dough never wants to expand and always springs back, let it rest for approximately 5-20 minutes in order for the gluten to relax fully then try again. You can store the dough balls in a zippered freezer bag if you want to save some of the dough for any future baking. In that case, pour some oil(a few tablespooons only) in a medium bowl and dip each dough ball into the oil, so that it is completely covered in oil. Then put each ball into a separate bag. Store the bags in the freezer for no longer than 3 months. The day before you plan to make pizza, remember to transfer the dough balls from the freezer to the refrigerator. Mix together the flour, salt and instant yeast in a big bowl (or in the bowl of a stand mixer like me). Add the oil, sugar and cold water and mix well (with the help of a large wooden spoon or with the paddle attachment, on low speed) in order to form a sticky ball of dough. On a clean surface, knead for about 5-7 minutes, until the dough is smooth and the ingredients are homogeneously distributed. If it is too wet, add a little flour (not too much, though) and if it is too dry add 1 or 2 teaspoons extra water. If you are using an electric mixer, switch to the dough hook and mix on medium speed for the same amount of time.The dough should clear the sides of the bowl but stick to the bottom of the bowl. If the dough is too wet, sprinkle in a little more flour, so that it clears the sides. If, on the contrary, it clears the bottom of the bowl, dribble in a teaspoon or two of cold water. The finished dough should be springy, elastic, and sticky, not just tacky, and register 50°-55° F/10°-13° C. Flour a work surface or counter. Line a jelly pan with baking paper/parchment. Lightly oil the paper. With the help of a dough scraper, cut the dough into 8 equal pieces (or larger if you want to make larger pizzas). Sprinkle some flour over the dough. Make sure your hands are dry and then flour them. Gently round each piece into a ball. Transfer the dough balls to the lined jelly pan and mist them generously with spray oil. Slip the pan into plastic bag or enclose in plastic food wrap. Put the pan into the refrigerator and let the dough rest overnight or for up to thee days. Preheat the oven as hot as possible (500° F/260° C). Generously sprinkle the back of a jelly pan with flour or cornmeal. Flour your hands. Take 1 piece of dough by lifting it with a pastry scraper. 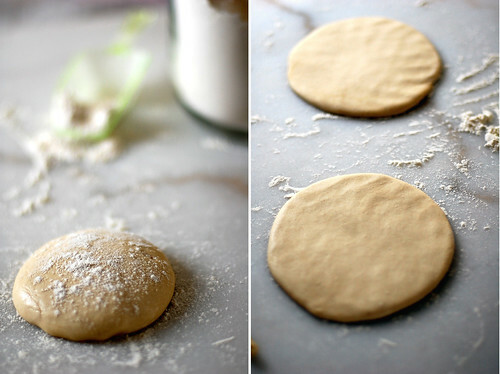 Lay the dough across your fists in a very delicate way and carefully stretch it by bouncing it in a circular motion on your hands, and by giving it a little stretch with each bounce and once the dough has expanded outward, move to a full toss. When the dough has the shape you want, place it on the back of the jelly pan, making sure there is enough flour or cornmeal to allow it to slide and not stick to the pan. Top it with sweet or savory toppings of your choice. Slide the garnished pizza directly on the jelly pan. Close the door and bake for about 5-8 minutes (it may take longer as no 2 ovens are the same). For an even baking, rotate 180° after 4 minutes. If the top gets done before the bottom, you will need to move the jelly pan to a lower shelf before the next round. On the contrary, if the bottom crisps before the cheese caramelizes, then you will need to raise the stone or jelly. It would make a great Japanese picnic dish very elegant. I love the photos. Don't worry about being a little late. Your pizza is beautiful. I just watched Jamie Oliver the other day, he made a similar pizza. Wow, that looks amazing! 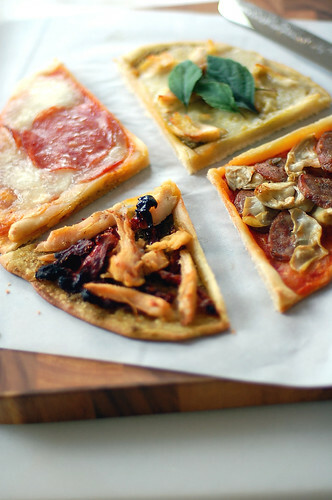 I love how you made 4 different kinds in one pizza! Just beautiful. I love how each slice is a different topping!! I love how you divided it... great idea! 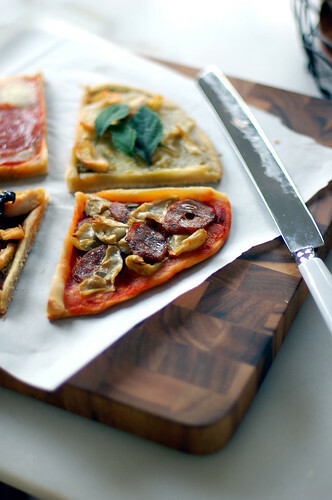 I love how you made different compartments for you pizza toppings. Awesome! 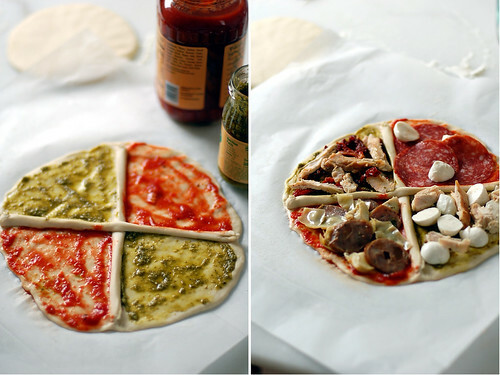 What a neat idea to divide the pizza like that! And the pesto as sauce looks delicious! Wow, I love your pizza! Very original and unusual! Great job! What beautiful photography! The pizza looks beautiful and delish! LOVELY, just lovely looking pizza. Very clever toppings. mmmmmm! I love your blog Venus...thanks for stoppin' by! If fashionably late means this beautiful post & pictures, then by all means its FINE!! 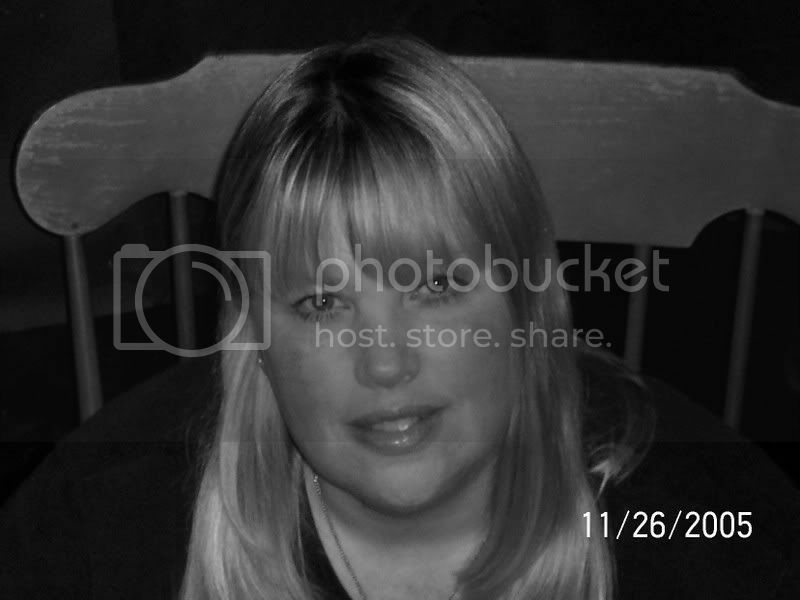 The pizza is wonderful, the pictures stylish & your blog gorgeous! I love this 4-in-one idea! The pizza looks fantastic! thank you so much for this lovely recipe. I shared it with a girl friend and her sons are crazy about it !!! 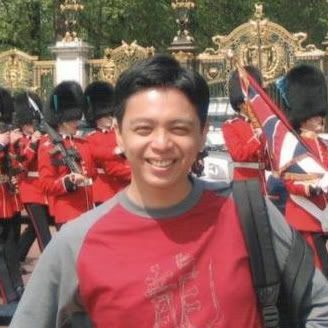 btw, can you post more frequently, your blog is sooooo good.